You invest a lot in your equipment. You expect it to be ready to roll — and keep rolling — when you need it, in the toughest conditions. You can help ensure your machines meet these demands by protecting and maintaining them only with the best filters and lubricants. Room for a Steiger in Jay Leno’s Garage? You Bet! Jay Leno put the most powerful tractor in agriculture to the test — on the streets of L.A. Go along for the ride in a big red tractor in the latest episode of Jay Leno’s Garage. Would you head to the field in the morning before fueling up? How about before checking the fluid levels in your tractor? Or inspecting and lubricating your equipment? Now, how often do you check the air in your tires before you pull out of the shed? If a pressure check isn’t routine, it could be costing you big bucks. As you make plans to attend your favorite organizations’ annual meetings and conventions early this year, be sure to pencil in a visit with Case IH. You’ll find us at events across the country. We’d sure enjoy meeting you and learning about your operation. Whether you’re pulling the implements you have faster or pulling larger implements, you can transform your productivity with a tractor that transfers more power to the ground. 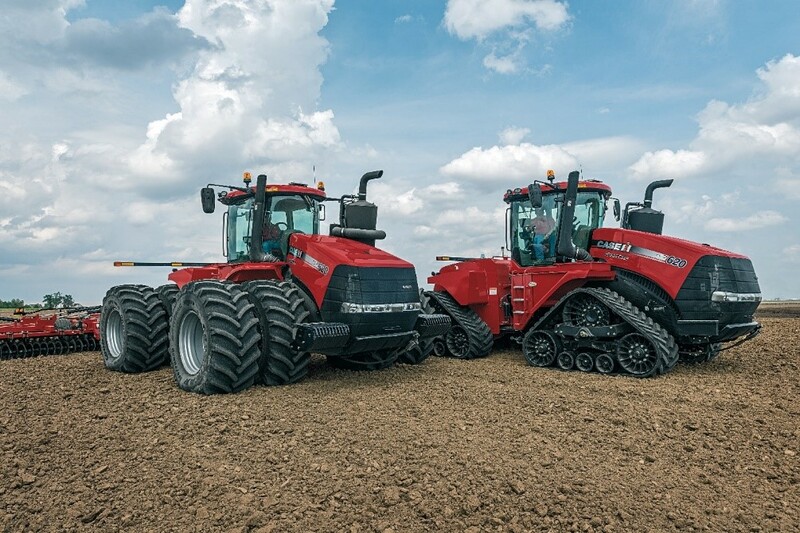 So why wouldn’t you choose the best-performing tractor on the market?